Work for Google Apigee API Platform? Learning about Google Apigee API Platform? Apigee allows us to set up proxying and application management for our internal apis. It handles all of the key/secret management and is very configurable. It lets you make several steps to ensure that your apis remain secure and users get information that is expected. Apigee currently has a 'classic' view and an 'edge' view that are entirely different. It can be a little difficult to find what you are looking for on one or the other so it does require some switching back and forth. Try both views. Some features are easier to find in classic mode and some are easier in edge. For instance, if you are needing to view any of Apigees endpoints for Apps, it is far easier to view their own API documentation in classic mode. But the admin usage is far easier in edge mode. We are using this has a hosting and proxy layer to expose our microservices to the outside world without exposing the internal service locations. "Experience of the Google Apigee API Platform program. " That is a tool in which you can load information and it is updated automatically, it is a particularity that I like because it saves me time and that can be opened from any computer. I like the tool because I can organize distance meetings with the staff, significantly reducing logistics expenses, equipment maintenance, staff hiring. It is an easy to use program that does not require working hours for its optimal use. I like its interface because tools are displayed in an organized way. The interruptions that exist perhaps due to the failure of internet connection and sometimes are blurred, is a tool that requires an excellent connection to the Internet being a limitation for use in territories where the Internet is the most optimal. We are more efficient in communication, because the transfer to a certain place is not required, the local problems are dealt with effectively. When I can not be in several places at the same time, I can see the optimization of the tool when I make video conferences and so I can address the problems that arise locally and I can guide them to the solution. The application of the tool has brought many benefits to the company, because every day we are more efficient in the communication and integration of the staff, considering that we use each of the options in an organized way for its optimal use. also reducing expenses related to logistics, staff mobilization, viatical or hiring staff. "Google Apigee API - fantastic tool." Its API key verification with proxy provides great security during the deployment. Application dashbord is awesome and very easy to use. For authorization i can add and remove the developer from API. Lot of inbuilt features this api has as well as i can customize the same in my code. Pretty easy to deploy and publish the project over the application. It does require a bit knowledge curve to begin the project but junior level staff can handle the same nicely. Except that i found all good in this API. Yes. Its a great application and as per my experience this is much helpfull for the developers. Application's cloud exchange feature is awesome. Its secure, easy and quick to use, so overall this saved time to do all these. Apigee is the only APIM product that comprehensively accounts for all the requirements of productizing APIs. Other technologies may provide some similar functionality, but taking a product oriented perspective of APIs, and understanding that the audience is the developers of the applications driving next generation business applications is unique to, and was begun by, Apigee. Easiest to use, most comprehensive functionality, Apigee excels at management and governance for your Digital transformation initiatives. Apigee does not encompass all the features of a full fledged ESB; but it does not intend to. Business transformation to a fully digital economy for fortune 500 enterprises wanting to keep up with the rest of the world. "Apigee is one of the best API management platforms and now supported by Google giant"
It serves to monitor the entire process of software development and process management through the cloud. "This is the correct API platform for your online business." 2. User experience is good. 4. API development is automated. There is nothing to dislike about this product. It works well as it advertises. This is a very good product to develop APIs. Give it a try. Security was the main concern, which we have benefited a lot by using Apigee. Development is very faster with the automated tools. Its very easy to use. The documentations are very easy to understand even if you are new user to the cloud services. It provides access through ssh. The console is user friendly to use. The pricing as compared to other cloud services are at the high side. It requires a bit of time to get used to it. Read the docs properly before using it. I would recommend to first try then start the paid version. Server setup , database setup, file management, media management. The flexible routing configuration and the out of both insight analytics. . Depending on your scale and how big load you have doing peak and non-peak hours you still have to care about scale. If you are considering starting an API program having already a bigger software portfolio and have not yet started on an API-first journey. Then you should for sure have a look at Apigee. Managed to easily expose one api for both external and internal usage hading away a complex micro-service architecture. "A very good API Managment tool"
Team work management: 2 developpers can't work at the same proxy at the same time. Realizing APIs gateways to communicate with ecommerce website, between partners, customers..
API Management perspective integrated with Google Cloud Platform which we continually grow. Low barrier of entry to begin using this reliably. Great partnership with local folks and support to scale to significant workloads. Looking forward to extensions and new features for Service Mesh and Anthos. Honestly, not much. You need to know a little to make it a long way. It's flexible but not difficult. Secure Gateway for integration with partners to reliably provide customer value. "Flexible, Scalable and developer friendly PRoduct"
Transformations are not available in all language like Python etc. Creating new business APIs for financial services. Quick development and scalable feature. Apigee has many capabilities that allows an enterprise to adopt API management capabilities rapidly. Amount of components that you have to understand. "Apigee is useful to capture the metrics"
"Helped us to API integration with Delphi"
The way it solves the security issues and the way we can build on top of it. Yes, we would recommend our clients to use Apigee APIs as its secure and easy to implement and resolves many of the issues which are oil & gas industry pain points. "Very easy-to-use APIs, mostly for developers. " You can deploy and run the APIs wherever your apps are and centrally manage them. mainly used by developers, which i am not, so makes it tough to create. traffic management and report metrics. I use this platform to host and manage my apps. Very easy to use. Sometimes I miss some features others have, and sometimes I need to do tasks quicker. In order to agilize tasks. Very useful..
Google Apigee is excellent product. I like security featuress, the way it builds apis in quickest time. "Apigee is easy to get started." The ability to hide backend systems while changes are being made. In general, the GCP UI is too cluttered. Thinks should be able to be hidden from view, or opened in multiple screens. Migrating a monolith into microservices. 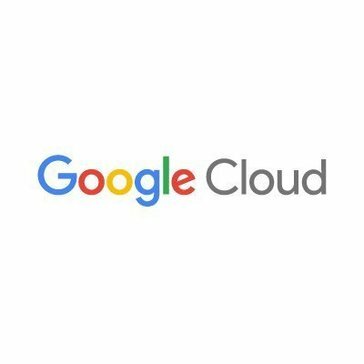 "The best product in GCP"
Native Integration with GCP Products. Easy to use and get started with trials with. Price points are massively out of range for our business needs. * We monitor all Google Apigee API Platform reviews to prevent fraudulent reviews and keep review quality high. We do not post reviews by company employees or direct competitors. Validated reviews require the user to submit a screenshot of the product containing their user ID, in order to verify a user is an actual user of the product. Hi there! Are you looking to implement a solution like Google Apigee API Platform?